This is something I look forward to every year. As a young girl my family and I used to attend church at Saint Demetrios and every year when the Greek Festival would roll around I would beg my parents to let me work the pop machine…coolest job EVER! I have fond fond memories of the festival and love that it’s still around and going strong. My husband and I moved back to Seattle 3 1/2 years ago and conveniently settled into the Montlake area where our house is in walking distance to the church. 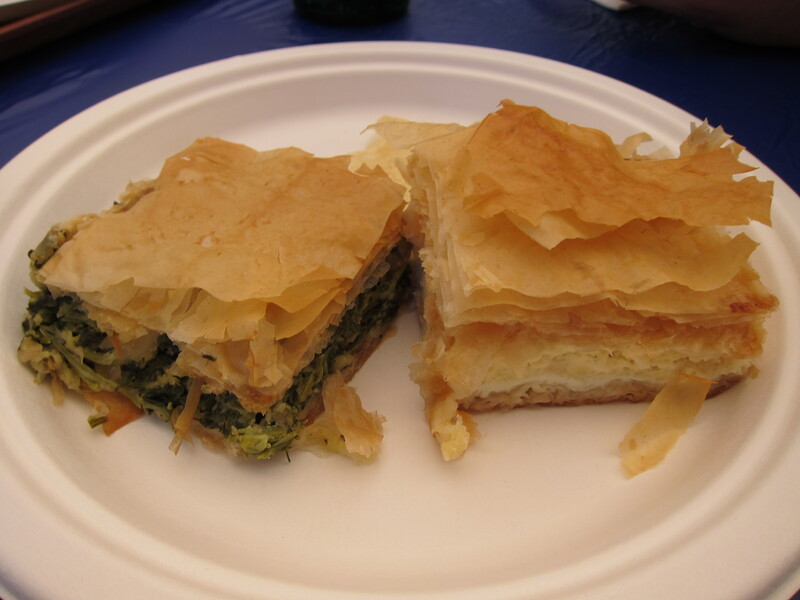 Don’t misunderstand me here…I’m not going to church on Sundays, I’m going to the Greek Festival everyday I possibly can when it happens the one weekend out of the year. Oh how I love the gyros, spanakopita and loukoumades. 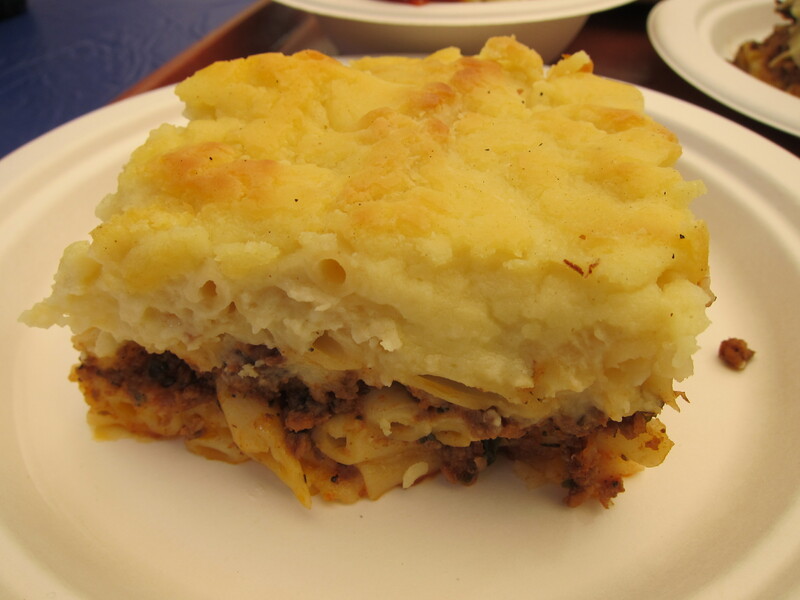 Being a good Greek girl, I’ve learned most of the traditional recipes that I grew up on and make them quite often at home so I definitely get my fix but experiencing it straight from the source is a totally difference experience all together. If you missed it this year there’s always next. Just remember that it’s always in September on the weekend when the Huskies have an away game. Opa! 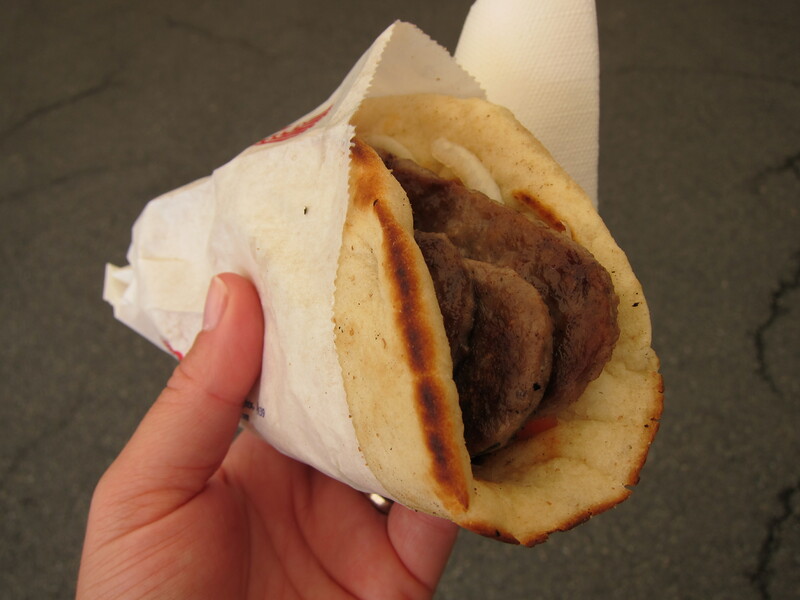 The star of the day…the Gyro! 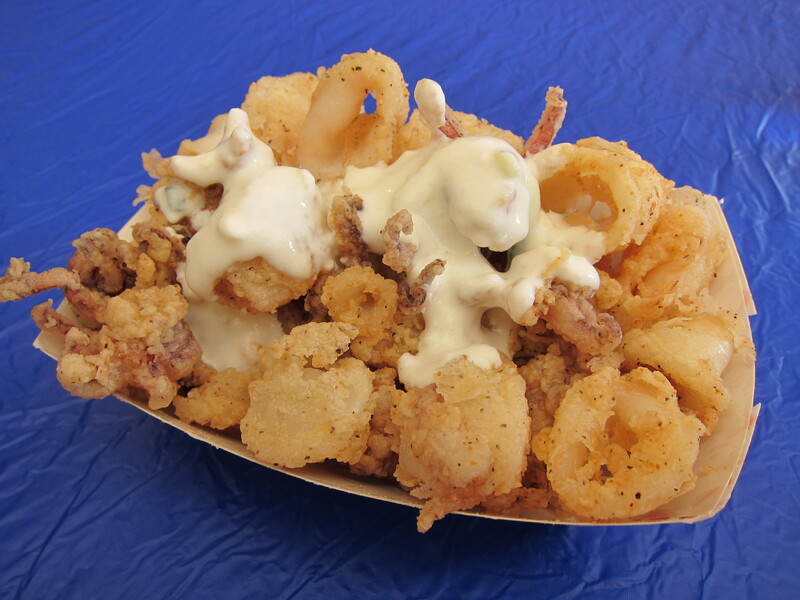 Kalamari (Greeks use a lot of K’s) – something I’ve never had at the festival but it was really good and topped with a little tzatziki which was a great addition and very tasty! 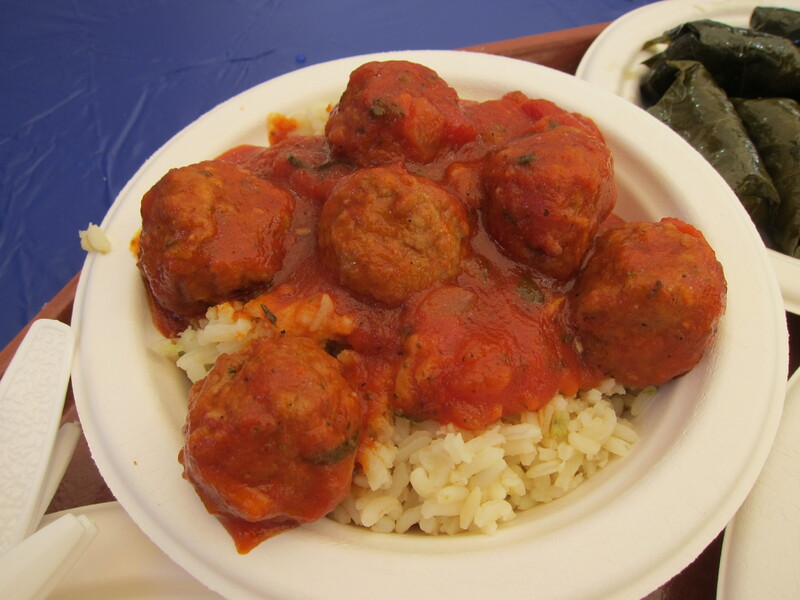 Meatballs over rice…can you really go wrong here? 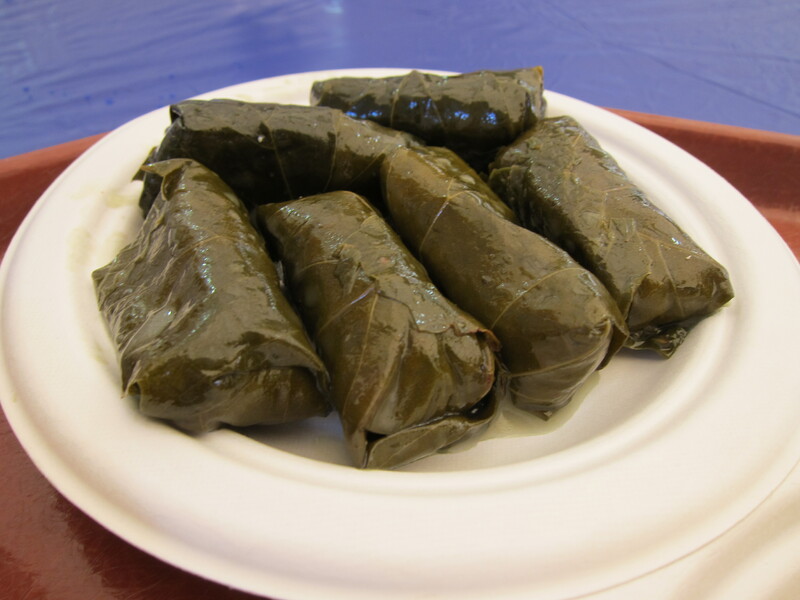 Dolmathes – not ‘Dolmas’ people! Loukoumades…AAAAMAZING! 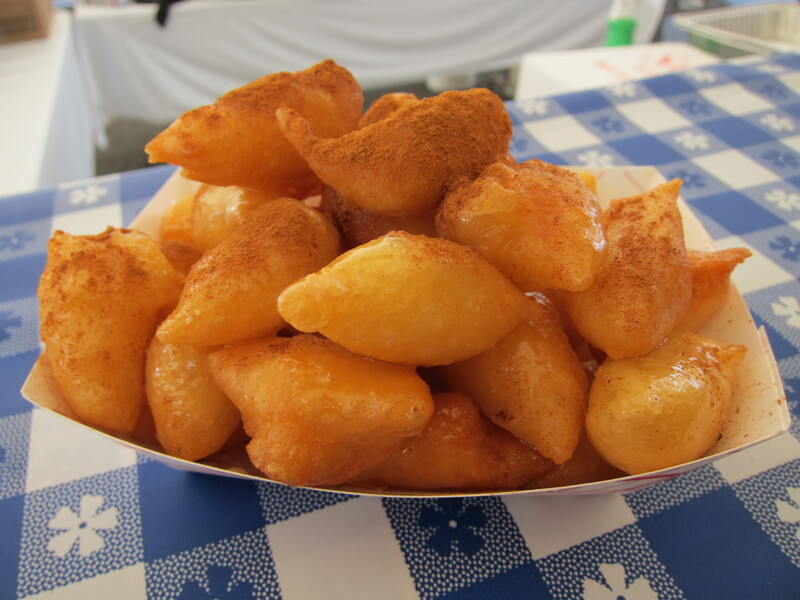 Little fried nuggets of goodness in a honey glaze and topped with cinnamon…need I say anymore? I am not missing this thing next year. I want that gyro!